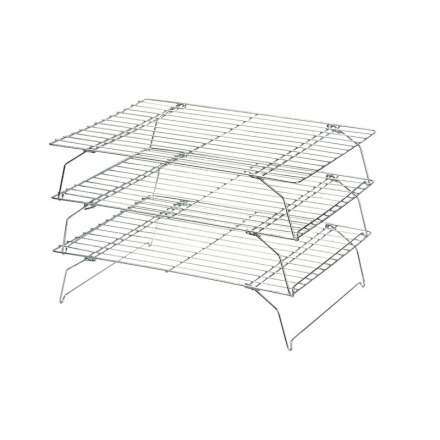 Use each rack separately, or stack 2 or 3 together. Set of 3 handy stackable cooling racks with rectangular grid. 34cm x 25cm (13.4" x 9.84") with 7.5cm depth between tiers.